The following conditions point to the work being a non-U.S. work for copyright purposes: work made by a non-American company; by a resident of a country other than the U.S.; by Americans working on behalf of a non-U.S. company, individual or combination thereof; or commissioned by an entity which is not a citizen or company claiming the U.S. as its nation. The following reasons cannot be used to deny copyright on foreign works: the work was never registered for copyright in the United States; there was registration but no renewal upon expiration of the first term; there was no copyright notice on the work itself; or the copyright notice contained a defect (example: wrong claimant). If the work was first published so long ago that under American law any copyright it was ever entitled to would have expired, it is no longer eligible for copyright. However, a work merely performed but not published at an early time may not have used up its maximum potential term. In calculating terms, it must be remembered that a work published or exhibited in a source country when it was new may not have been published or exhibited in the United States until years later (sometimes decades later). Citizenship or sovereignty status, not location where a work is made, establishes nationality insofar as copyright status is concerned. 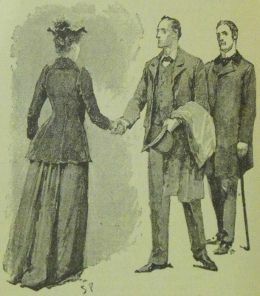 For pre-1996 foreign works, publication “during the 30-day period following publication in such eligible country” of the same work in the U.S., disqualifies the work from obtaining copyright as a “restored work” (one on which the opportunity for American copyright had been lost when the work was new but then given the opportunity for protection beginning 1996). Any source-country copyright enjoyed by the work is irrelevant. A valid, timely American copyright registration is required for protection where American publication occured within the 30 days after eligible-country publication. Validity of copyright in the source country on January 1, 1996 (or date of the source country’s entry into Berne, if later) triggers American copyright protection for the remainder of the time it would have had copyright protection had American formalities been complied with earlier. This time span remains the case even for works on which copyright in the source country expires sooner. Source country. The country with which the United States has a reciprocal copyright agreement, where the work was first published (or, if the work is unpublished, where the author or majority of authors are nationals or domiciliaries), or (in cases where the work was first published in two or more countries on the same day) with which the work has the most significant contacts. Restored work. A work subject to copyright protection in the United States based on its being under copyright in its source country, in instances where the work did not have copyright protection in the United States prior to the legislation which enabled the work to become a restored work. Member country. A country which is party to an international copyright agreement to which the United States is also a member. Reliance party. Someone who used a work without authorization, owing to his understanding that the work did not enjoy copyright protection in the United States, and who upon the United States entering into reciprocal copyright agreements through URAA/GATT finds that the work which previously did not have a valid copyright in the United States now has copyright protection on the basis of the copyright in the source country. So you think you know what “restoration” means? How inaccurate can it be to use the term “restored” when talking about the “restored works” made such by this legislation? Consider this: works that had never been under copyright in the United States are now said to be “restored” works; works that might have continued to enjoy several years of copyright protection in the United States (based upon the 75-year maximum combined terms in place in 1996) were given little or no additional time because the foreign copyrights were based on the lifetime of the author (e.g., “life plus fifty years”) and where the author died shortly after publication, the foreign term expired (and with it the only copyright recognized in the United States starting 1996, were there no separated U.S. copyright) sooner than the fixed-year-term United States copyright would have. Given the slew of different copyright terms legislated by the countries of the world, there is no means of quickly saying (without reference to source materials) whether a work enjoys equivalent protection in the United States to what it would have otherwise enjoyed had a copyright registered in the United States been undertaken or maintained. If you’re looking for several tables comparing different aspects of copyright law for 20 countries, these have been moved. The comparison table has been upgraded — it’s much easier to use — and has a page of its own: https://chart.copyrightdata.com/ch08A.html. Persons with large screens and a willingness to grapple with abbreviations might appreciate the older version of the table, now at its own page. The tables comparing the copyright laws of 20 countries enable people who are interested in using foreign works to see how long copyrights last in those countries, including differences for different media within the same country. Americans who complain about the supposedly-lengthy durations of American copyrights might be surprised at how long some European copyrights can last! In the 19th century, a foreign entity holding a valid copyright in the country of creation had to jump through legal hoops to get a United States copyright as well. (The difficulties of the older system comes across in some of the court verdicts of cases summarized on the citations and court summaries page on foreign works.) Through most of the 20th century, it was easier for foreign entities, but not as simple as it became after an act of the United States Congress in 1994. From then on, if a country is a signatory of an international copyright agreement to which the United States is also a signatory, copyright respected in the country of origin is likely to be respected in the United States as well. Some exceptions involve works so old that under American law they would have entered the United States public domain before the 1994 legislation, so these works remained in the United States public domain even though copyright subsists in the country of origin and many reciprocal-respect countries as well. This subject is further discussed later on this page. Persons wanting to know which treaties these countries signed, and when the agreements were entered, can find that information on a detailed table of international copyright treaties. Prior to the 1994 legislation that brought about an unprecedented level of reciprocal copyright recognition between the United States and a substantial number of other nations, copyright relations between the United States and the rest of the world was a complicated “quilt” of different treaties that covered far-more-limited numbers of countries and had far less effect as to the numbers of works and the extent to which they were covered. It remains the case that reciprocal-copyright recognition of the nature outlined on the tree-view chart does not apply to countries that are not members of the Berne Convention. The information therein which deals with these earlier treaties is largely superceded (because of the prevalence of Berne membership), but is provided here for those who might need it. The United States entered a reciprocal-respect copyright arrangement with Canada and Mexico (within NAFTA legislation) one year prior to entering an arrangement with far more countries (through URAA/GATT legislation). The effect upon works copyrighted in Canada and Mexico is much the same, other than minor differences in the effective dates and the deadlines for filing Intent to Enforce declarations. URAA applied to all classifications of works, whereas NAFTA applies to motion pictures (and contents within them) from 1978 to March 1, 1989, that had been published without notice in the U.S.
URAA truly subsumes and supercedes NAFTA, with respect to copyrights. “Under the NAFTA Implementation Act, (8 P.L. 103-182, 107 Stat. 2057) a number of Mexican motion picture owners timely filed a Statement of Intent to Restore with the Copyright Office. These works will continue to enjoy copyright protection, but such protection will be governed by the new section 104A substituted by the URAA. If you have used the tree-view chart on this web site, you know that to determine the copyright status for an American work in the United States can entail answering numerous questions (which were spread out across several branches on the tree-view chart page). To get a definitive answer about the copyright status of a foreign work can also entail answering a number of successive questions. (Generally, however, there aren’t as many to answer in applying foreign laws as there are with American law.) This web site is not of sufficient size to delineate every question for every country.. The copyright status of a work can be difficult to ascertain when the protection accorded that work is governed by the laws of a country other than the United States. Coming up with a satisfactory answer as to the copyright status often necessitates knowledge of the laws of the nation wherein the work was made. A thorough examination of the copyright laws of the scores of nations which have copyright laws, is outside the scope of this web site. Those who endeavor into the study should realize that the laws are written in dozens of languages and that literal translations are subject to error. Please realize that in many countries, a work is considered to be copyrighted upon publication or upon creation, so questions about a copyright being “secured in a timely and proper manner in the source country” can be assumed to be automatically answered in the affirmed. The tree-view chart deals with the subject of the following table. The second table below provides examples of conditions outlined in the first table. Where the work has a copyright through the source country and another in the United States (whether renewed or not), and these copyrights are set to expire on different dates, there may be a provision in American law that allows the later date to be the date of expiration, even where that date is the date that the American copyright would have expired had it been renewed even where it wasn’t. This first table shows what happens in the four possible conditions given the two possible status in foreign countries combined with the two possible status in the U.S.
public domain Work stayed public domain in U.S. after URAA unless an aspect in the other three conditions overrode the work having entered public domain by foreign expiration. (It doesn’t matter if the work became public domain in the source country if the U.S. term would have continued beyond the foreign expiration.) If the age of the work has already gone beyond the maximum amount of time that the U.S. would have given it, the work stayed in the public domain. copyrighted Copyright is granted until the last possible date that U.S. law would have allowed at the time of the original copyright. Copyright is granted until the last possible date that U.S. law would have allowed at the time of the original copyright. 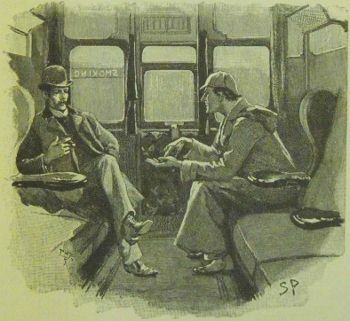 public domain All works of A. Conan Doyle are in the public domain in the United Kingdom. They have been since 1980 (based on Doyle’s death in 1930), and the facts of his1923-and-later works having time left in their United States copyrights is not disturbed by the expiration of protection in Doyle’s native England. Most other countries follow the British lead. The pre-1923 Doyle works remain in the public domain in the U.S.
Bram Stoker’s Dracula has been out of copyright in its source country since April 1962. It never had copyright in the United States, yet because April 1962 has come and gone, the original Dracula novel will never be in copyright in the United States. Works copyrighted 1918 at the end of 1993, which was before URAA/GATT, thus 1918 works received no extra time. 1921 works would have entered the public domain at the end of 1996, but where a foreign-citizen/resident author remained alive for decades after 1921, a foreign copyright with a life-plus term will still be valid well beyond when the U.S. copyright expires. Which Foreign Works Received Copyright “Restorations”? The table is intended to help the reader understand that under the copyright “restorations” of the URAA legislation (codified as §104A of Title 17, United States Code), there are disparities in the durations of copyrights in foreign works. These incongruities exist even though U.S. laws are generally consistent in the amount of time given as copyright protection regardless of which year a work was first published. Likewise, each foreign country generally chooses a particular copyright duration to apply to a given type of work and then applies that amount of time year after year, usually not changing the law for the better part of a century. However, when the U.S. law granting copyright “restoration” was devised, eligibility and duration turned out to be based on two factors: the copyright term in the source country and the term for comparable works in the United States. Thus, a work has to still be eligible for protection in the source country on the day of “restoration,” after which the duration for the comparable U.S. term becomes the term given. Although the above examples show instances of U.S. duration being longer than the term in the source country, the opposite is often true. Most foreign countries preceded the United States in going to systems whereby written works copyrighted by individuals are granted terms based upon the lifespan of the author. In such cases, the foreign copyright is likely longer. Examples appear at the bottom of this section. In many of the above cases, the copyright in the country of origin is the number of years shown here plus the remainder of the calendar year through to the next December 31st or January 1st. These distinctions are dropped here, although these are spelled out in the tables on the page comparing aspects of the copyright laws of 20 countries. Many of the countries listed in the table, in the case of the types of media shown here, predicate expiration of copyright on the basis of the date that the work became available to citizens of their country rather than creation date. In the case of movies, the date that the work became available means the date that a movie was shown to audiences in theaters rather than the more complicated calculation (long applicable in the United States but possibly nowhere else) of when copies were distributed to such sufficient extent that it qualified as “publication.” Where foreign countries did make a distinction between creation date and date of availability to the public, this generally won’t make a difference with the types of media shown here, since movies (for instance) usually don’t stay on the shelf long without their producers attempting to quickly get them into their own country’s theaters so that they can recoup their costs. However, persons interested in exploiting a specific work should research the release history of that particular work. As with the particulars in each country insofar as whether copyright expires at the end of the calendar year rather than on the anniversary of the copyright, the above table leaves out that distinction; the exact information is provided in the tables on the page comparing aspects of the copyright laws of 20 countries. Sound recordings: Canada, Czech Republic, France, Germany, Hong Kong, Ireland, Italy, Mexico, Netherlands, New Zealand, Slovak Republic, South Africa, Spain, Sweden, United Kingdom. Just like the cinema films, photos, anonymous and pseudonymous works, and collective works listed above, sound recordings are entitled to fifty years of copyright in the countries specified in the above paragraph. However, sound recordings prior to 1972 do not qualify for copyright “restoration” under URAA. Section 104A(h)(6)(C)(i) provides copyright “restoration” for “noncompliance with formalities imposed at any time by United States copyright law”; section 104A(a)(1)(B) provides “restoration” to works for “the remainder of the term of copyright that the work would have otherwise been granted in the United States if the work never entered the public domain in the United States.” Sound recordings were not eligible for copyright under United States federal law prior to 1972 (although protection was offered by state law), so sound recordings did not enter the public domain owing to “noncompliance with formalities.” No matter how stringently a foreign rights holder may have complied with the laws and formalities in place in the 1940s, there would not have been federal protection. The 1994 legislation addresses this point implicitly in §104A(h)(6)(C)(ii), where it indicates that “restoration” provides “subject matter protection in the case of sound recordings fixed before February 15, 1972” (emphasis added). Both of these centenarians were citizens of countries that provide copyright terms based on the lifetime of the author. In both countries, it is the life of the author plus seventy years. France adds the remainder of the calendar year through December 31st. Furthermore, the laws of France provide that in calculating the expiration date for the works of an author who was a citizen of France, the following timespans are not counted: 8/2/1914 through 12/31/1918 and (if the work was under copyright as of 8/13/1941) 9/3/1939 through 1/1/1948. (Articles L123-8 and L123-9 of France’s Intellectual Property Code) These are the periods of WWI and WWII, with some added time post-wars. Although the obituary did not mention whether Mr. Ponticelli held any copyrights, if he did — even if these are for work created when he was 17 years old at the start of the first world war in 1914 — this copyright will last through the year 2090. It’s probable that Mr. Ponticelli cannot be said to have died for France, but any members of his outfit who did were entitled to an additional thirty years on their copyrights. (Article L123-10) Thus, an author who died in late 1914 (perhaps among the first casualties of WWI) would receive the seventy years following his death, an additional dozen (plus fractions) for the two World Wars, plus thirty more for his sacrifice in uniform. His copyrights won’t expire until at earliest 2027. The first graphic illustrates the time periods covered by the different copyright terms of the two different countries on the two different versions. This first graphic makes no mention of reciprocal respect of copyrights (the so-called “restorations”), nor shows how it would apply. Rather, it illustrates the diverse copyright status in the two countries at a time when each country did not recognize the copyrights of the other. * Playwright George Bernard Shaw wrote the dialogue and earned a screen credit for the screenplay. Based on his death in 1950, the British copyright on the play will last at least through 2020. Most of the other eligible contributors to the movie lived beyond 1950. The 2067 expiration date takes into account the following credited persons (and death information): directors Anthony Asquith (died 2-20-1968) and Leslie Howard (died 6-1-1943), scenario writers Walter P. Lipscomb (died 7-25-1958) and Cecil Lewis (died 1-27-1997), playwright Shaw, and composer of original music Arthur Honegger (died 11-27-1955). Not considered are uncredited reported screenwriters Ian Dalrymple and Anatole de Grunwald, and uncredited reported writer of additional dialogue Kay Walsh. The graphic below illustrates to what extent the different copyrights on Pygmalion were recognized in the United States at different times. In the above situations, the only counties to consider are the United States and what are referred to as “eligible source countries.” An eligible source country is defined in §104A(h)(3) as a a nation other than the United States adhering to WTO, Berne and/or WIPO, as appropriate, as of 1994 or later, or a nation subject to U.S. proclamation. Leni Riefenstahl was an accomplished, respected movie director when she was commissioned by the Nazi Government to create a film documenting Nazi Party rallies. The resulting film has long been lauded as breathtaking and has rightfully been condemned for glorifying a repulsive cause. Triumph of the Will (1935) has been studied in universities as an artifact that helps explain why a nation followed loathsome persons as their leaders. The film became a model for subsequent propaganda filmmakers. Upon Nazi Germany declaring war upon the United States in 1941, it’s understandable that the United States would regard the film an enemy government’s tool. The film has Hitler appear to be a messiah. Triumph of the Will was, in the United States anyway, under the control of the Alien Property Custodian. After the war, Leni Riefenstahl contended that she owned all rights to the film. (If the Nazi German government had obtained them, that government no longer was in place.) She sued Transit-Film Gesellschaft mbH of Munich when that firm (following its start in 1963) began selling copies of Triumph of the Will. Transit-Film Gesellschaft had been set up as a wholly-owned company of the then-current German government, and it had bought rights to films of defunct German companies which the government had not owned. Transit-Film Gesellschaft did not see cause for buying rights from Riefenstahl, believing that the Federal Government was successor in interest to the Third Reich. The German Federal Supreme Court of Karlsruhe agreed. On January 10, 1969, it decided that the copyright had belonged to the National Socialist German Workers’ Party (the formal name of the Nazis), that the German state was its successor, and that Transit-Film Gesellschaft had been delegated by it. Triumph of the Will is a documentary that itself has been documented to 1) been administered by the Alien Property Custodian, and 2) been decided to have a copyright owned by a government. These two facts, in combination, preclude a work from enjoying “restored” copyright protection under the 1994 act. 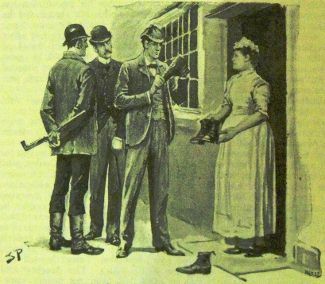 The Sherlock Holmes stories published before 1923 are widely available in collections offered by American publishers, but the necessity that these last stories be licensed has limited their availability. 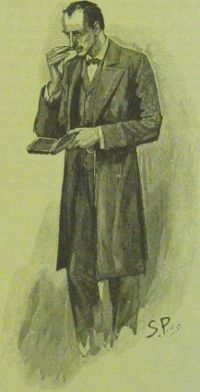 One publisher that did license them took to advertising on the cover that their volume contains The Lost Stories of Sherlock Holmes by Arthur Conan Doyle to call attention to the contents being unfamiliar to readers who had likely encountered all the stories but these twelve. It turns out the British copyright on this work is no longer operational. This does not alter the validity of the American copyright undertaken in 1927 and renewed in 1955. The claimants who properly fulfilled the necessary steps to obtain a second term are entitled to that second term and for it to continue for as long as any other renewal obtained in 1955 by any of the other rights-holders who renewed any work eligible that same year. Had it been the American copyright which expired and the British copyright which continued, the British copyright would be valid and copyright protection would continue until that copyright had passed through the maximum number of years. The key point here: whichever country has the term which ends at the later year, that is the one to govern the expiration date at the end. There remain exceptions (as addressed elsewhere on this page). It remains that where American copyright offers the longest coverage on a foreign work, the time beyond that offered in the source country is for coverage not given outside the United States; outside the American borders, the laws of other nations (principally that of the source country) are operational. Readers who have become familiar with the foreign-copyright-“restoration” rules by consulting other resources might have noticed that this web site has yet to say anything about the right of a foreign copyright-holder to file a Notice of Intent to Enforce Restored Copyright. Question: What about notice of intent? Answer: The “notice of intent” in copyrights is the equivalent to a “No Trespassing” sign in land ownership. The rights to one’s claim is established apart from these two things. A notice of intent or a “No Trespassing” sign is a conspicuous declaration that the owner is serious against wrong-doers, but neither of these gives the owners any legal rights he doesn’t already have. Question: Was the work published in the United States (for its first time in the U.S.) during the 30-day period immediately following its first publication in a country where an author or right-holder was a national or domiciliary? Answer: If yes, the foreign copyright won’t be respected in the United States, and if there is no longer (if there ever was) a valid copyright in the United States, the work is free to use in the U.S. Any “Notice of Intent to Enforce Restored Copyright” registered by a party claiming ownership should be regarded as a mistaken filing by someone who (perhaps through honest error) didn’t realize that the first U.S. publication occurred during the crucial time window. Question: What are your sources for this information? Answer: Section 104(A)(a) of the Copyright Act (as amendd 1994) is titled “Automatic Protection and Term.” The first paragraph (which is item (a)(1) states “Copyright subsists, in accordance with this section, in restored works, and vests automatically on the date of restoration.” The 30-day window is in §104A(h)(6)(D). The Notice of Intent is useful for rights-owners to take legal action against infringers. The tree-view chart deals both with derivative versions of works in general (examples of derivative works are in the derivative works illustrations page of this web site) and with derivate works based on foreign originals. The 1994 law which established reciprocal-copyright respect has provisions for American works incorporating foreign works which had been in the American public domain when the American adaptation was created. The next paragraph provides an example. Example: The Fractured Flickers television series (see frames from the credits of that show in the illustrations page about copyright notice) incorporated brief film clips from the classic German films M and The Blue Angel (both 1930). When the series was created from 1963 to 1964, such clips could be incorporated freely (so long as the resulting films were not shipped or exhibited in countries where the German copyrights were enforced). The complete films were sold and rented at that time (and long thereafter) by firms that were under no obligation to license the film from the German companies holding rights derived from the original effort to produce the films (nor from any American licensees of the German companies). Blue Angel. ©Paramount Publix Corp.; 2Jan31; LP1855. [No renewal noted in Film Superlist.] There is just one entry in the Catalog of Cumulative Entries for this title from 1912-1939, and the Catalog makes no differentiation as to whether this listing is for the German-language version or English-language version (which is a different performance made concurrently with the German-language version), although the listing does state a length of “8,848 ft.”, which is an appropriate length for the American release in the English language but not for the (longer) German-language original. Given that M and Blue Angel are eligible for reciprocal-copyright-recognition on the basis of the nationality of production (and assuming no disqualification for other reasons; possible reasons are outlined above), anyone who now offers the Fractured Flickers programs is also disseminating excerpts from the two German films that were not under copyright in the United States in 1963 and 1964 (and thus not licensed from the German entities) and yet which now seem to be. In other contexts, this would create a tangle of intertwined rights, but with respect to “restored works,” the URAA/GATT legislation permits affected works to take advantage for provisions extended to “reliance parties.” (These provisions apply only to works subject to enforcement of a foreign copyright. Where the works in conflict are each American, there remains a potentially-difficult legal quagmire. More about this is in the illustrations and citations pages on derivative works and underlying copyright. In practice, where an American adaptation of a foreign work is involved, the law can compel the publisher of an unauthorized translation to obtain a license and for the rights holder of the underlying work to accept payment. Regardless of whether a British newspaper such as the The Daily Mirror registered in the United States its 1962 editions at that time, the enactment by the United States of the URAA/GATT legislation gives in 1994 to that newspaper (and all others with copyrights in force in Great Britain) protection in the U.S. in accordance with the terms applicable in the country of origin. The scope of this mutual-respect protection has a slight limit: it is offered to copyright holders who are citizens of the country where the copyright is undertaken. If one considers strictly the general policy of URAA/GATT providing mutual respect of copyrights from one country to the other signatory countries, one might assume coverage which is not enjoyed. In the case of a 1962 British newspaper, British law did not require renewal, so a copyright undertaken by a corporation that is good in 1962 will be good past the end of the 1990s. This might sound good for creators who have work that was first published in one of those editions. For an American whose photographs appeared in 1962, URAA/GATT offered no benefit. George Barris shot photographs of Marilyn Monroe which were published in the The Daily Mirror of August 14, 1962, although these same images had not been published in the United States as of November 21, 1986, when he copyrighted them in the U.S. as unpublished work. Because the relevant photographs were published in 1962, a court later decided that the copyright term secured in 1986 began in 1962. The twenty-eight year term ended in 1990. Barris hadn’t computed this end date, so the copyright lapsed. URAA/GATT came along in 1994 (effective 1996), and gave creators an opportunity to enforce copyrights that until then had no validity in the United States. However, the URAA/GATT legislation that put this opportunity into the Copyright Act states that for “an original work of authorship” to qualify as a “restored work,” it must (among other things) have “at least one author or rightholder who was, at the time the work was created, a national or domiciliary of an eligible country”. (§104A(6)(D)) For Barris, his American citizenship denied him the privilege he would have had as a Britisher. The court decision that ruled that Barris’s copyright expired in 1990 did not take place until 1999. Had the 1994 enactment of URAA/GATT provided relief to Barris, it would have begun to do so long before that trial. His counsel would have had plenty of time to incorporate this knowledge into their arguments. Instead, the court decision does not even mention URAA/GATT. A more complete summary of George Barris v. Richard Hamilton, Madison Avenue Bookshop, Monacelli Press Inc., Anthony D’Offay Gallery Inc. and Tate Gallery Productions, Inc., Hacker Art Books, Inc. and the Museum of Contemporary Art, Los Angeles, with illustrations, appears in the Citations and Case Summaries page on renewal failure. 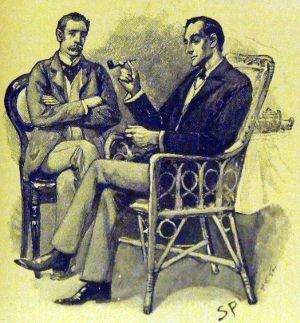 A page that I have prepared of important passage from the copyright law of the United Kingdom, cited and linked earlier on this page (in connection with The Case Book of Sherlock Holmes), is accessed at British law. The government of the United Kingdom maintains a web page which offers the text of that country’s copyright law and legislation which modified it, available at https://www.patent.gov.uk/copy/c-law/c-legislation.htm. The most complete collection of these laws can be accessed directly as a PDF file. Modifying acts are available in HTML format for acts from 1990 and 1996. First U.S. copyright law authorizing establishment of copyright relations with foreign countries. Effective date of the coming into force in the United States of the Universal Copyright Convention as signed at Geneva, Switzerland, on September 6, 1952. The United States Government obtained, shortly after the war, a settlement on behalf of the author for the Italian company’s appropriation of the literary rights insofar as applied to showings of the film up to that point. The author and the owners of the film didn’t reach an accord on distribution elsewhere for another two decades. Subtitling in English and new editing followed. The new version (edited into one feature film of 171 minutes) was first shown in the United States in 1986. The first theatrical distribution in the United States began later that year. The new version was registered with the U.S. Copyright Office under number PAu000952601, dated December 1, 1986. From that point in time is measured its term of American copyright protection. The original Italian versions then became (formally) copyrighted in the United States to the extent that they are incorporated in the English-subtitled edited version. Under the GATT/URAA reciprocal-recognition copyright provisions legislated into American law in 1994, the portions of the Italian versions not incorporated in the edited version continue to enjoy common-law American copyright protection as unpublished works. Nay-sayers may argue that this gives the Italian film more years of copyright protection than would have been accorded the film had its copyright term been the same fixed number of years but measured from 1942. Nonetheless, American law has always taken into consideration that the movie did not require American copyright registration in 1942 (at which time it was not imported), nor at any other time prior to 1986, because it was never shown to general-public audiences in the United States (nor sold to the American public) at any time during those 44 years. The lack of a copyright registration in the United States prior to 1986 does not constitute a sign of the movie entering the public domain. Lesson: Don’t base a decision on the validity of a U.S. copyright of a foreign work on the basis of when the work was first made available overseas. Its American publication or copyright date (whichever is earlier) is the determinant to look for. only concern aspects of this work relevant to Foreign Copyright. Readers who understand the concepts outlined on this page and on the companion Citations and Case Summaries page are invited to go to the foreign exercises page, which explores the complications involved in determining the copyright status of two foreign films after URAA/GATT introduced the possibility of reciprocal-treaty copyright protection.